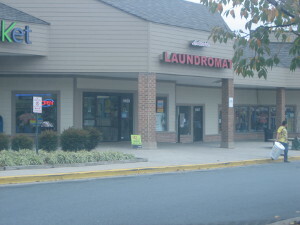 Lakeside Laundromat is a leading, well liked self and full service laundromat in Gaithersburg area of Maryland. 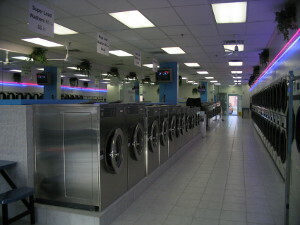 We have 52 oversized, modern commercial washers from double loads to eight loads and 50 hot dryers. There is never a wait for a machine. 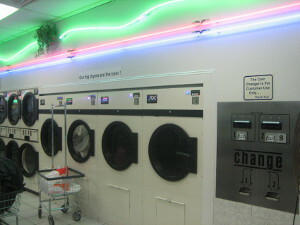 Our laundry facility is clean and friendly with an attendant always available. 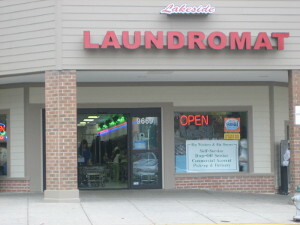 Lakeside Laundromat is coin operated. You pay what you use. It is easy to use. Never worry about money left on store cards. It is your money and you should be able to use it anywhere you want. 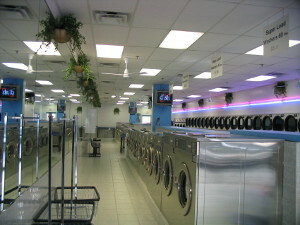 Lakeside Laundromat is not only a self-service laundry but offers drop off services as well. We do a very good job for our drop off customers. 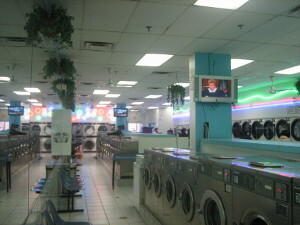 If you don't have time to do your own laundry, let us do it. We will sort, wash, dry and then professionally fold (except shirts and blouses on hangers) to the high standard that exceeds your expectation. 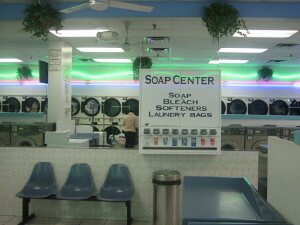 We cater to busy families, students, senior citizens and extended stay travelers. We accept household items such as comforters, sleeping bags and car mats. 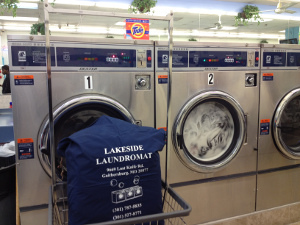 Lakeside Laundromat also services, pick up and deliver to many commercial businesses such as hair salons, car washes, day spas and chiropractors. 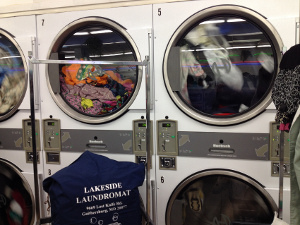 Lakeside Laundromat is not your typical coin laundry from the past.